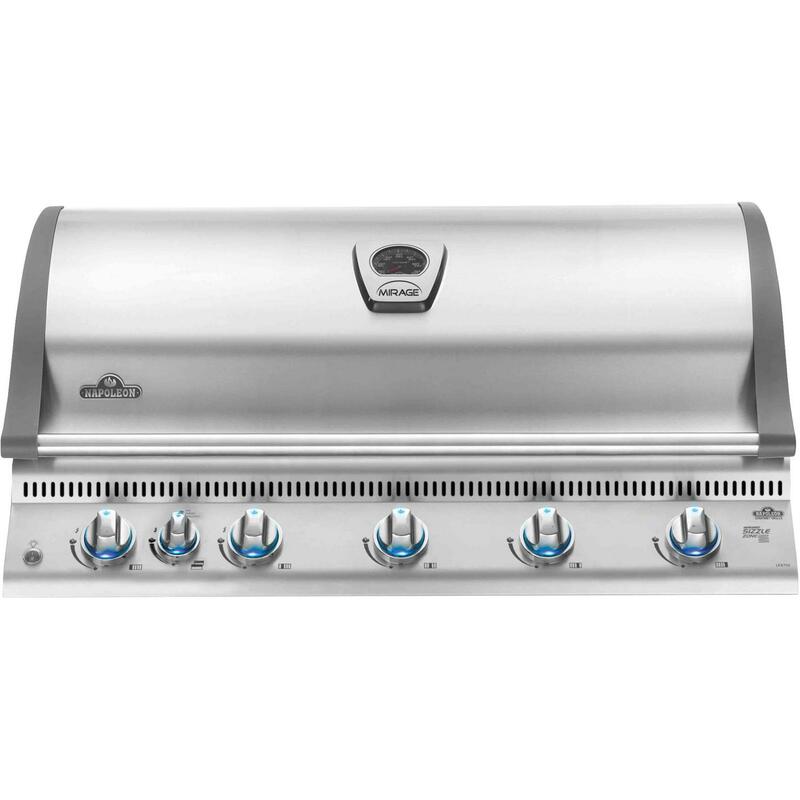 Grill to perfection with engineered quality at an economical price from Napoleon. The Napoleon Prestige 500 propane gas built-in grill has four stainless steel tube burners that provide up to 48,000 BTUs of cooking power. 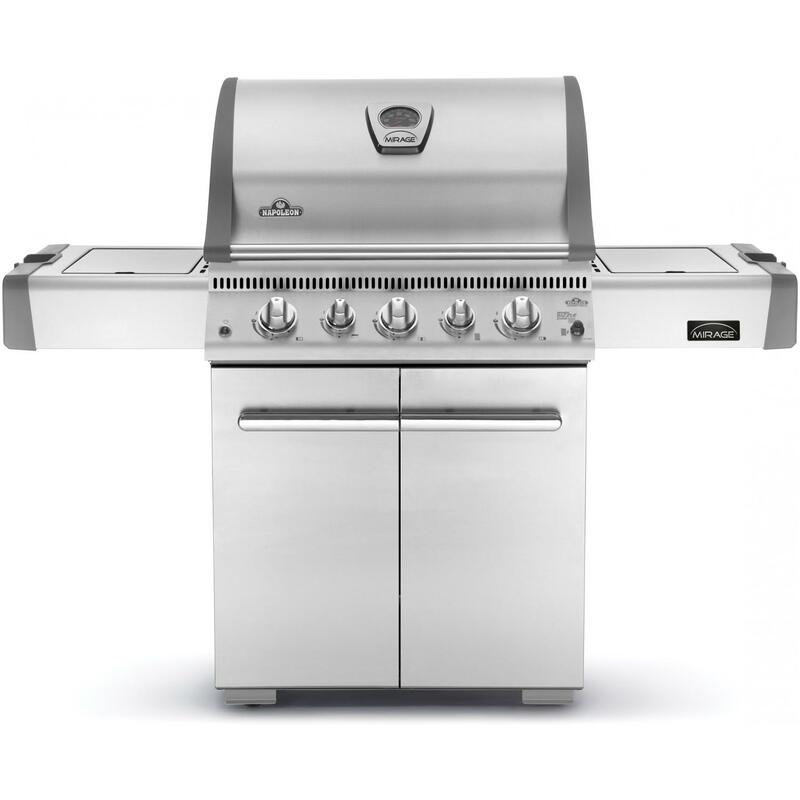 The grill has 500 square inches of main cooking area and 260 square inches of warming area for a total of 760 square inches of cooking area. The Napoleon electronic Jetfire ignition with crossover lighting starts each burner individually for a reliable start up every time and allows you to light all the burners at the same time. The porecelainized cast iron wave cooking grids are reversible and create the trademark Napoleon sear lines. The stainless steel, self-cleaning sear plates vaporize drippings, control flare ups and keep your food moist. 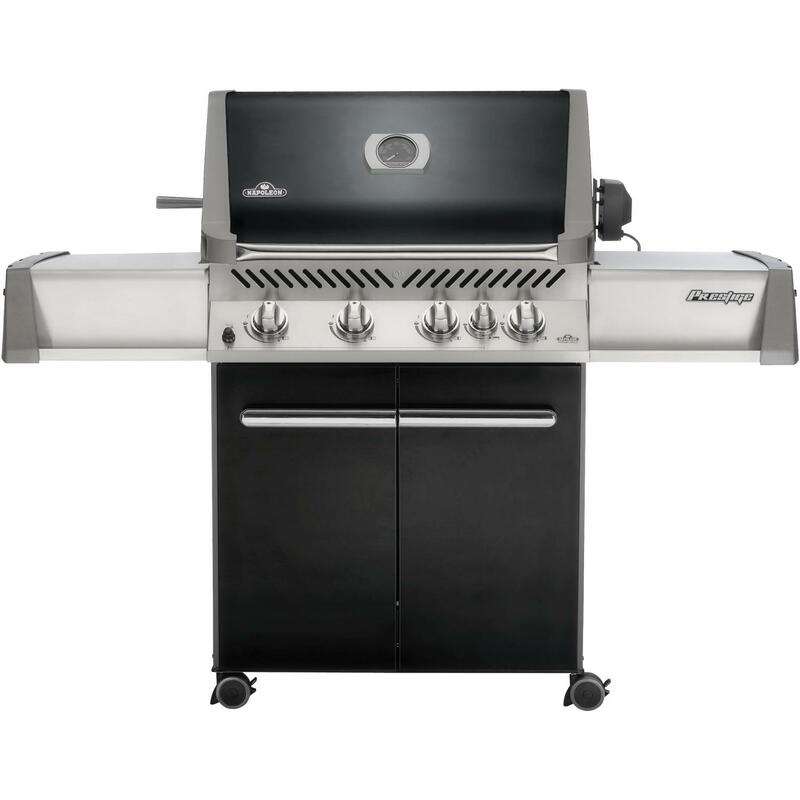 The Prestige P500 also has a 18,000 BTU stainless steel rear infrared burner with a smoker channel and rotisserie kit for roasting and smoking. The hood features an Accu-Probe temperature gauge and retains heat for oven-like performance. 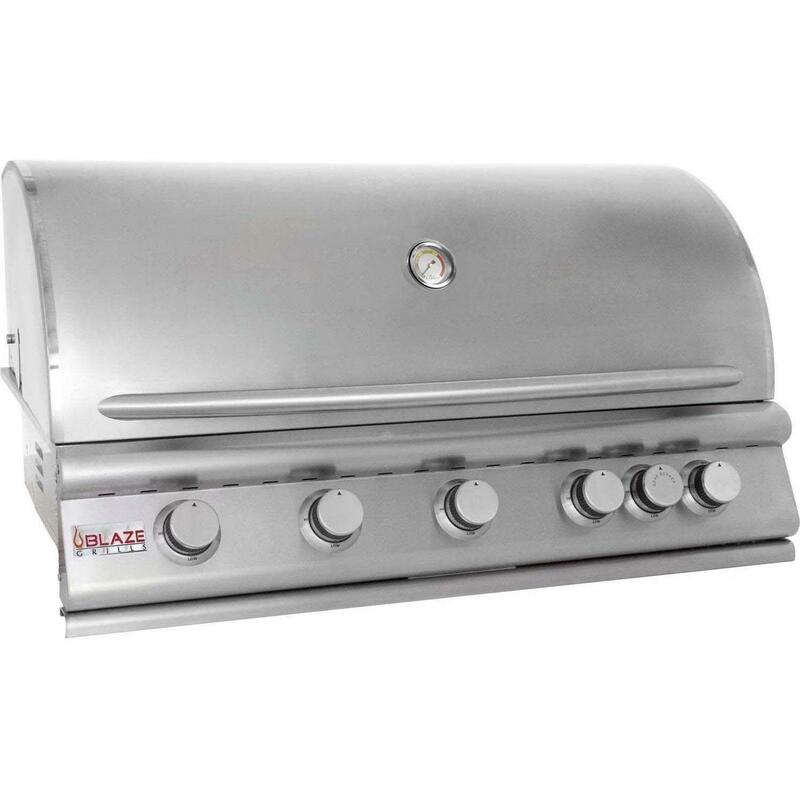 Easy set control knobs make grilling easy and clean up is a cinch with the full width removable drip pan. The stainless steel grill cart features folding shelves with integrated utensil holders, double doors for storage and easy roll locking casters for moving the grill around. 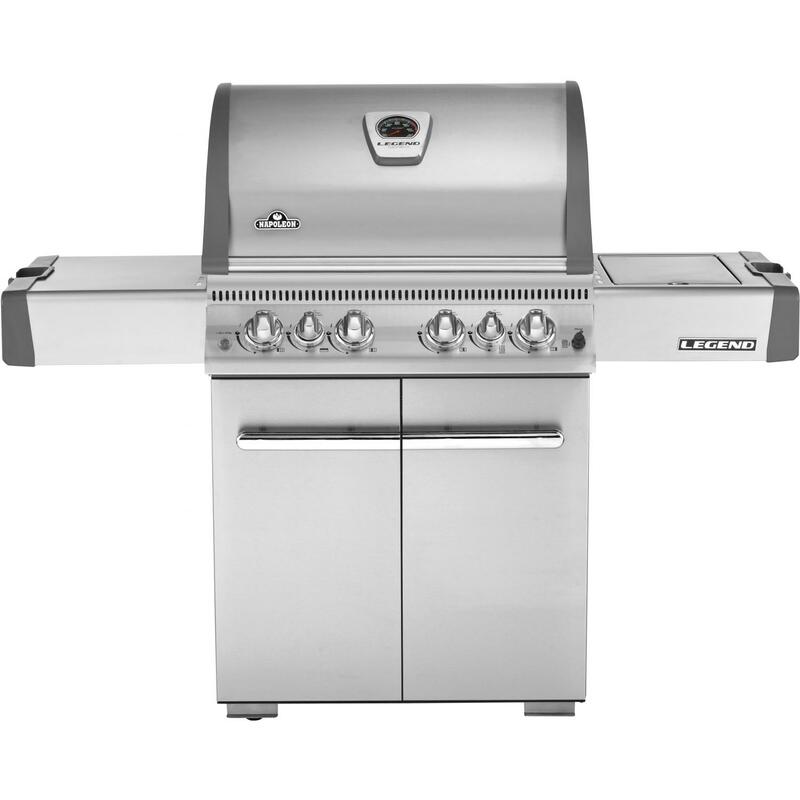 Grill to perfection with engineered quality at an economical price from Napoleon. 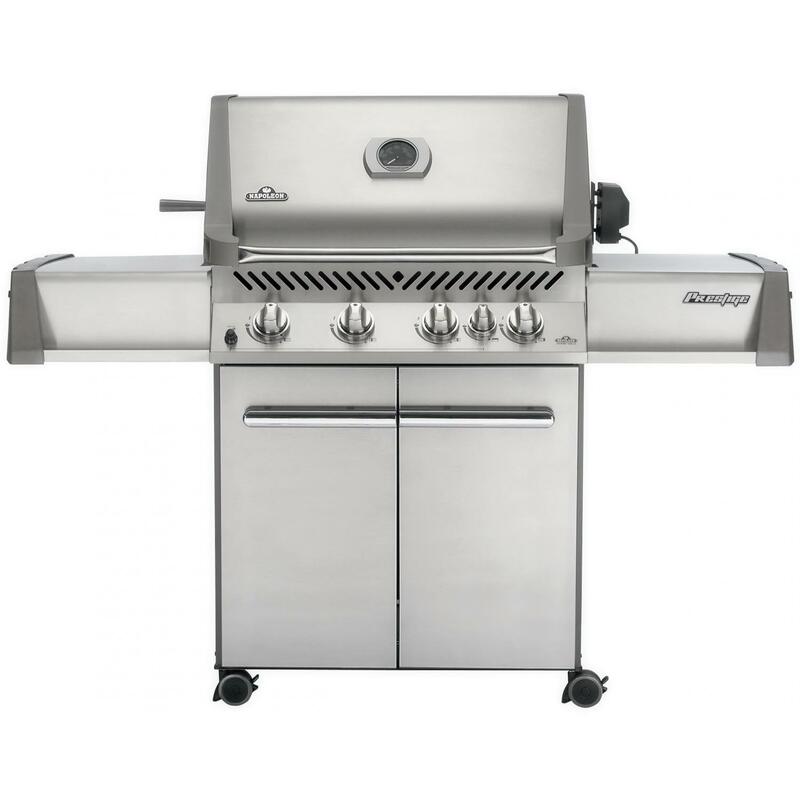 The Napoleon Prestige PRO 500 natural gas grill on cart has four stainless steel tube burners that provide up to 48,000 BTUs of cooking power. 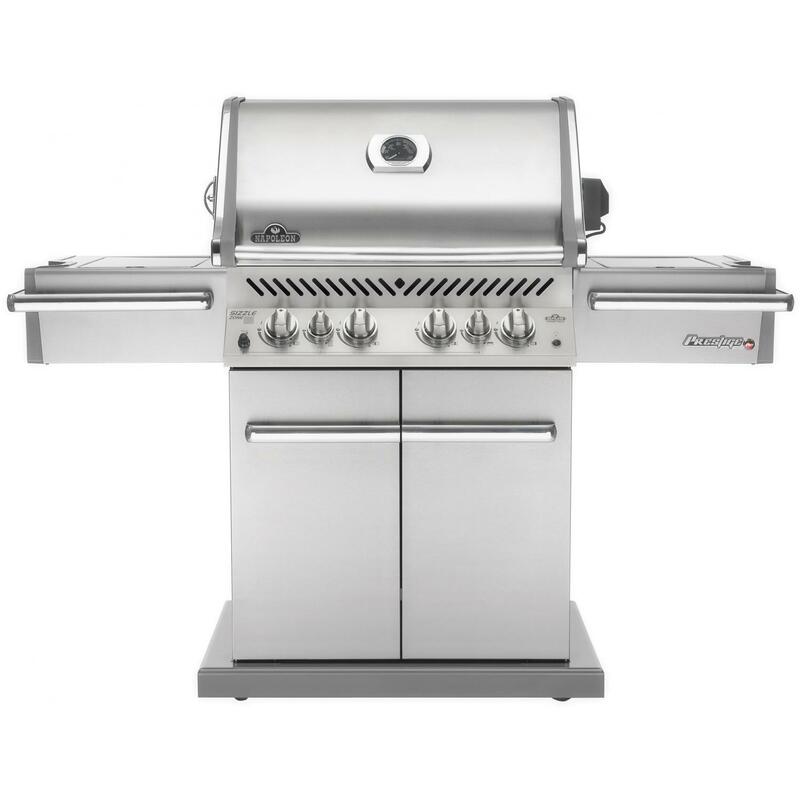 The grill has 500 square inches of main cooking area and 260 square inches of warming area for a total of 760 square inches of cooking area. The Napoleon electronic Jetfire ignition with crossover lighting starts each burner individually for a reliable start up every time and allows you to light all the burners at the same time. The stainless steel wave cooking grids create the trademark Napoleon sear lines. The stainless steel, self-cleaning sear plates vaporize drippings, control flare ups and keep your food moist. 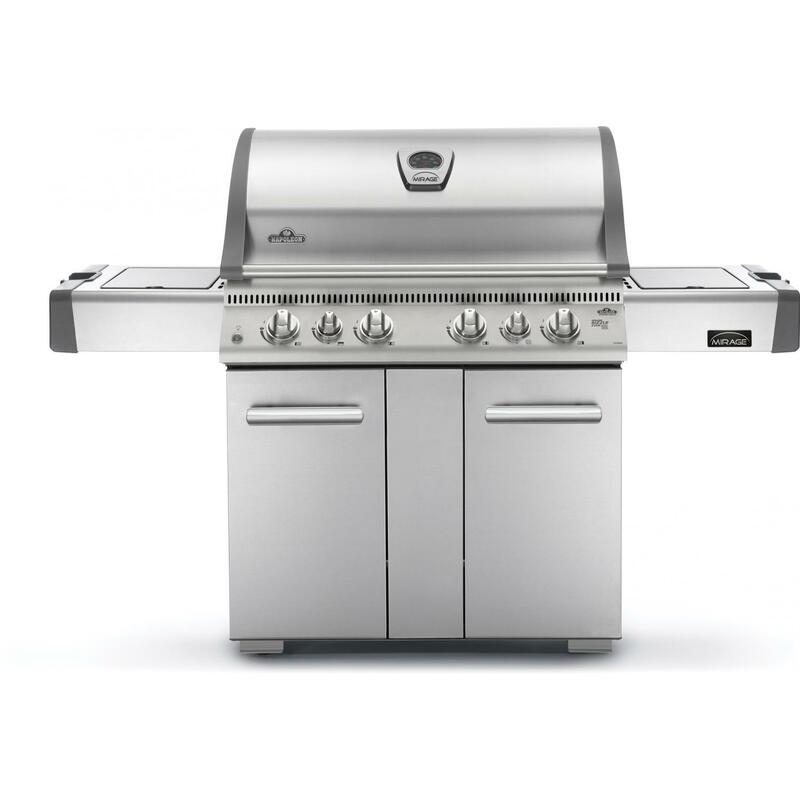 The Prestige PRO500 also has an 18,000 BTU stainless steel rear infrared burner with smoker channel for smoking or roasting with the rotisserie kit and a 14,000 BTU infrared side burner for searing meats. The hood features an Accu-Probe temperature gauge and retains heat for oven-like performance. 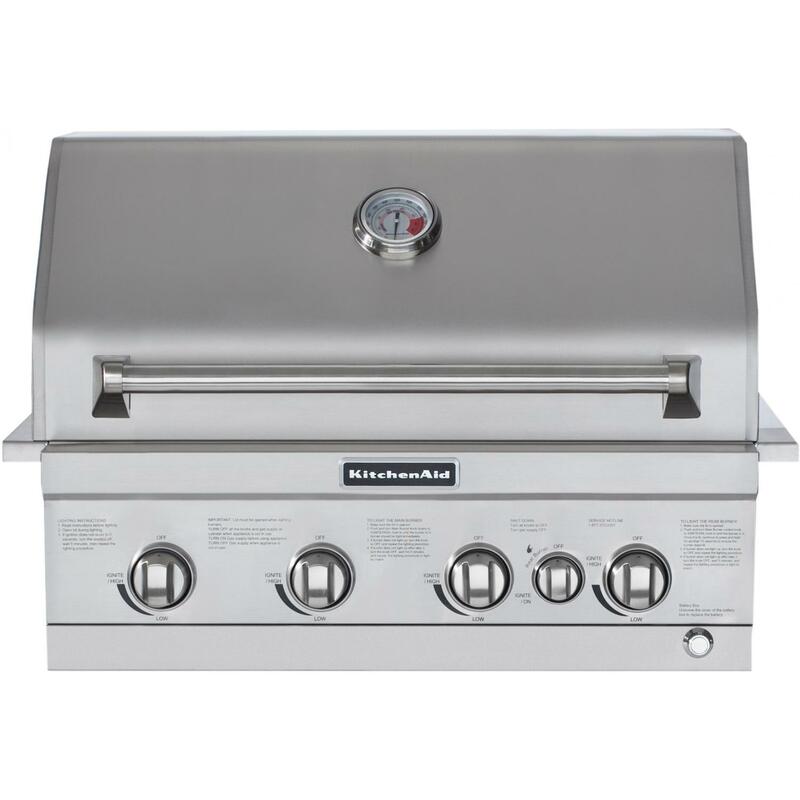 Back-lit control knobs make grilling at night easy and clean up is a cinch with the full width removable drip pan. 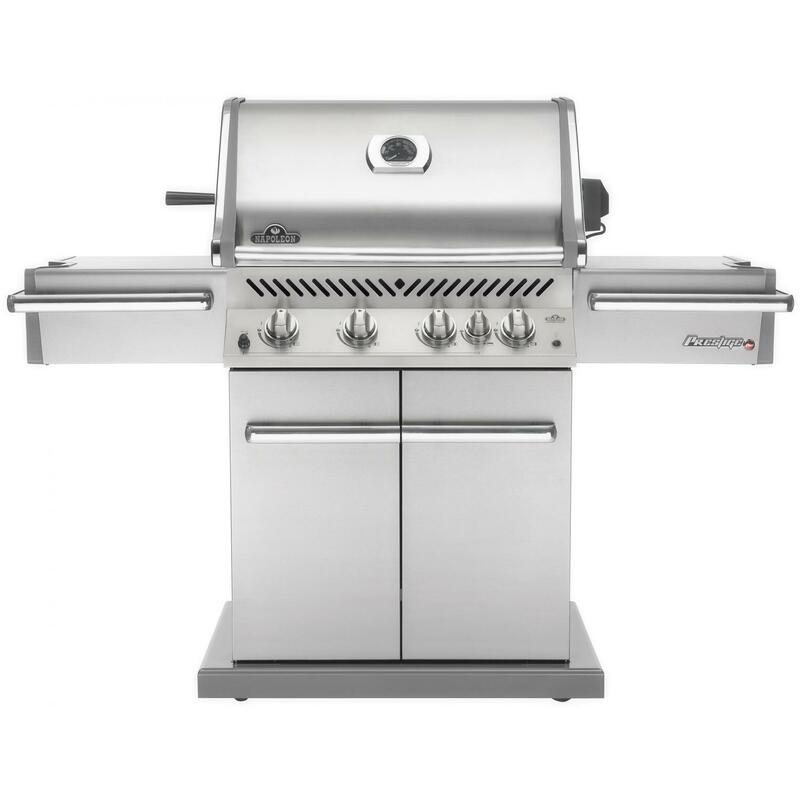 The stainless steel grill cart features side shelves and double doors for storage and easy roll locking casters for moving the grill around.